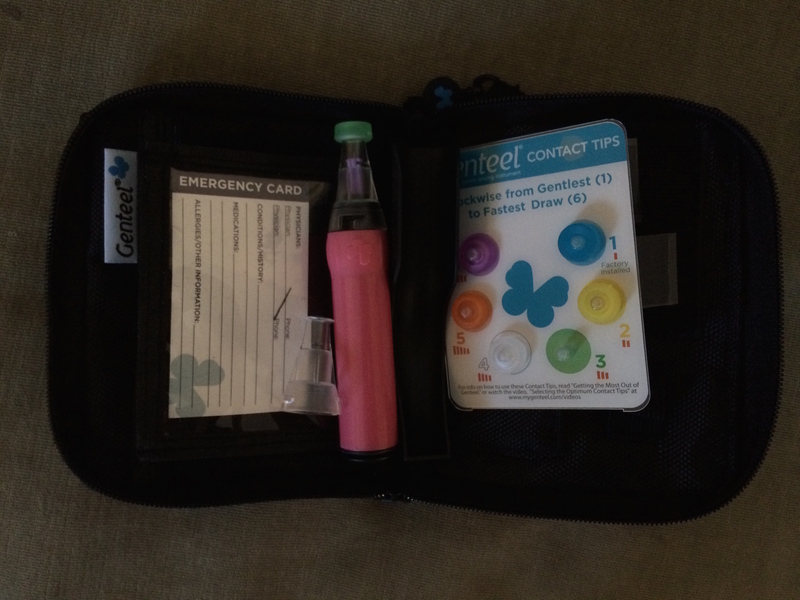 When Katy commented on my review of Genteel lancing device, she asked a very important question: are blood glucose readings from alternate test sites reliable and accurate? Is there any special magic to finger blood? I confess: it crossed my mind before but I was avoiding this question. Blood is blood, so it should all be good, right? Besides, I confess that I did not want to find out, after getting really comfortable with alternate sites testing, that it was not as good as finger testing. Alas, Katy’s question sprung me into action. Naturally, first thing I did was consult with Dr. Google. It directed me to several reputable (or reputable-appearing?) diabetes websites that told me in unison that there is, indeed, magic to finger blood because it reaches fingertips quickly. Alternate testing sites can produce blood sugar readings 20-30 minutes old. 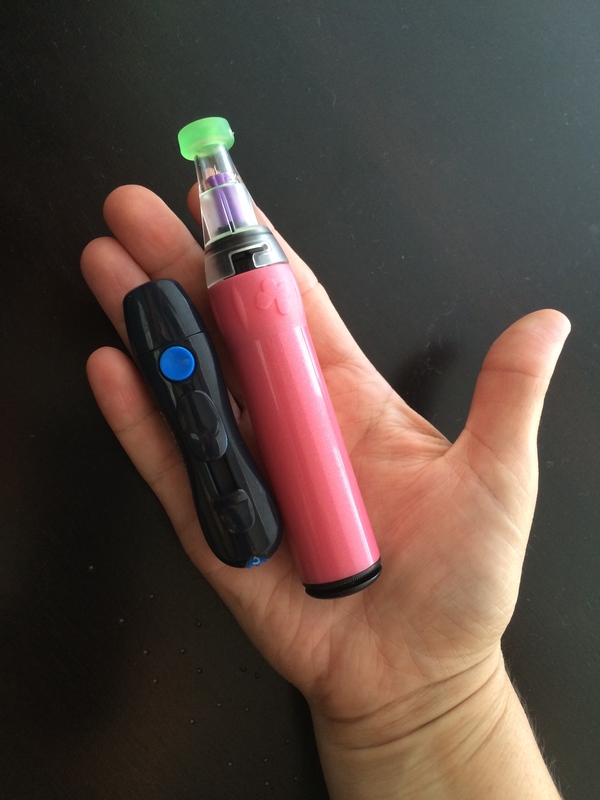 When BG is relatively stable, it should not be an issue. However, when it is going up or down rapidly, such as during exercise and after eating, and when a low blood sugar is suspected, we should only test on fingers. I did not like the sound of it at all. How useful is testing on alternate sites if we can’t do it most of the time? 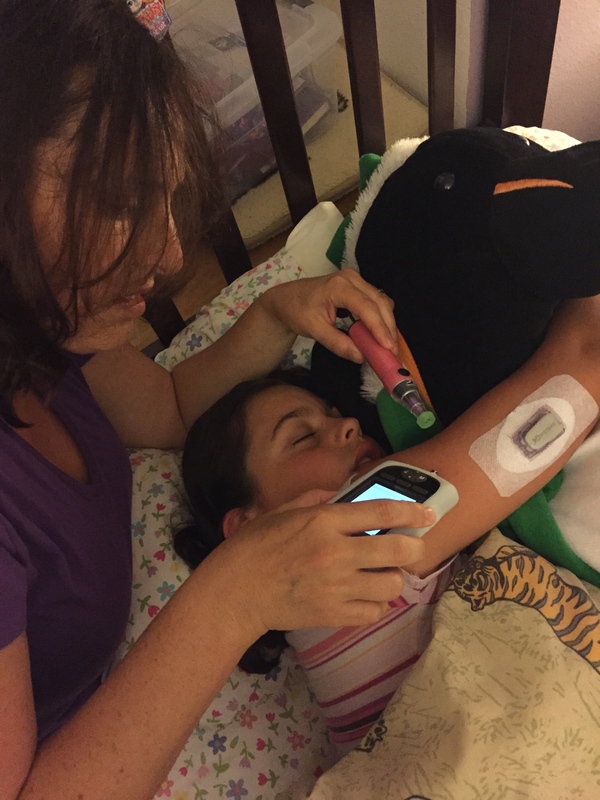 How often are a child’s BG levels stable? Almost never, that’s how often. 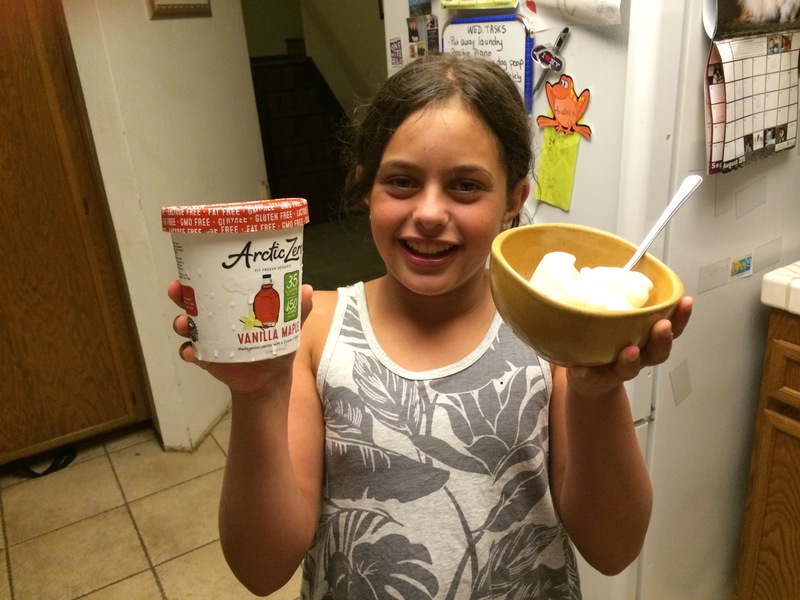 My kids are active, they are constantly in motion, and they are also constantly eating. Just another day of V’s blood sugars. Do you see a lot of stability? Neither do I. There was only one way to find out if the internet was right. Fortunately V was game for it, and in the name of science we began our experiment of comparing BG readings from alternate sites to BG readings from finger pokes. If I were a real scientist, I would meticulously check BG both ways every time I tested. However, I really did not want to subject poor V to poking herself twice as often (she already tests 8-10 times a day), nor do I have an unlimited budget for test strips, nor can I actually remember to poke her twice every time. Instead, we tested a few times for several days, making sure that we do it under different circumstances. 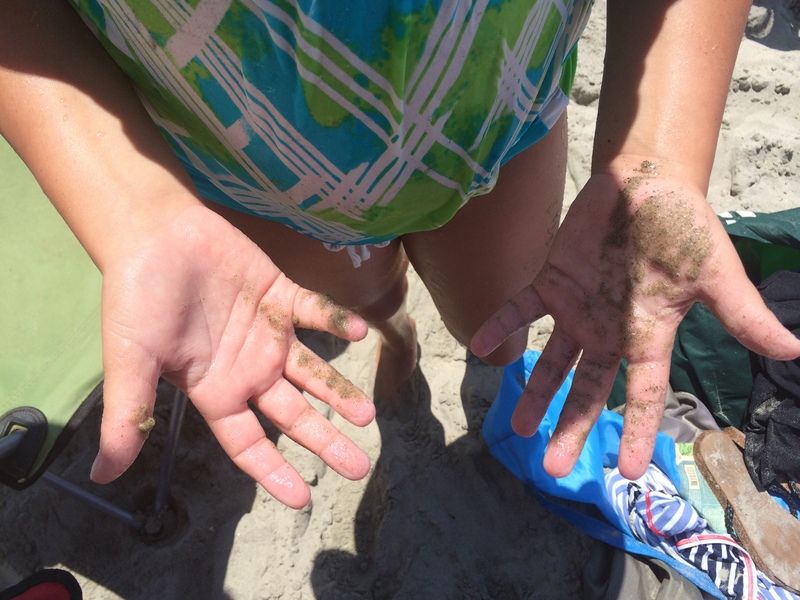 Behold our (almost) scientific results! 11:45 AM: We’ve been at the amusement park since 10 AM; V says she is feeling low. Finger = 72; Above knee = 95. Hmm, maybe Dr. Google was right? While the difference is not that significant per se, when it comes to suspected lows it is a big difference and suggests a different course of action. We are more likely to treat for 72 and more likely to leave things alone for 95. 7:05 PM: Dexcom alarms indicating a low (set to alarm at 75 and below). This is also within 1 hour of eating, and since we totally guessed carbs for dinner I suspect that I over-bolused her. Finger = 60; Arm = 59. Hey, that’s spot on! 11:00 PM: V had been asleep for about an hour and I am testing her before my bedtime. Finger = 133; Arm = 130. Score! 6:00 PM: Testing after V just got out of an hour-long intense swim practice. Finger = 111; Above knee = 109. 11:45 PM: Testing again because at about 11 PM V had a low for real and I treated her with two glucose tabs. Finger = 111; Above knee = 111. BULLS EYE! All three readings are very close despite very different circumstances and lack of BG stability in all of them. 1:30 PM: Testing V after she spent 2 hrs jumping in a trampoline park. Finger = 67; Arm = 67. Aha! 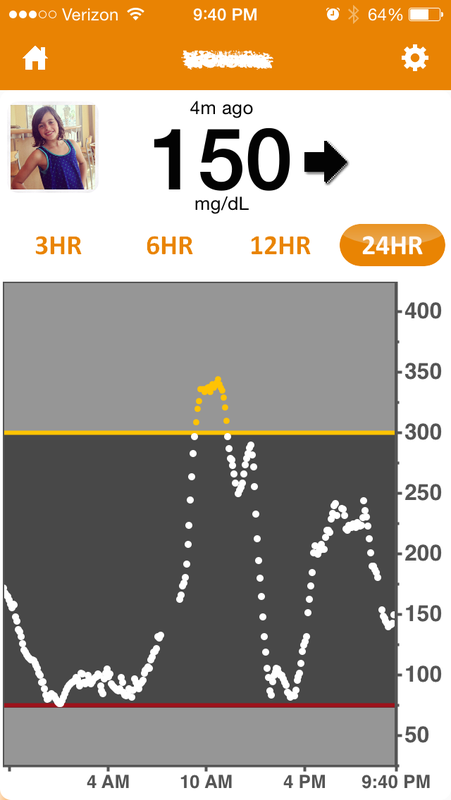 10:30 PM: Dexcom indicates that BG has been inching up, and it’s not surprising as there was ice-cream for dessert. Finger = 235; Arm = 261. Wait, this does not make sense. If BG from the arm site is delayed, how come it is higher than BG in the finger, given the upwards trend? And anyway, these readings are not terribly far from one another. 7:10 PM: Testing before dinner and one hour after administering a correction for high BG. Finger = 215; Arm = 248. At least this makes more sense if the delayed readings theory is right. Still, the readings are not that terribly far apart and we could easily test twice on fingers and get the same results. In fact, I can test BG twice from the same finger poke and get a difference of about 20 points. 10:45 PM: Testing before my bedtime. Dexcom graph is showing a very slow upward trend. Finger = 168; Above knee = 150. This is pretty close. 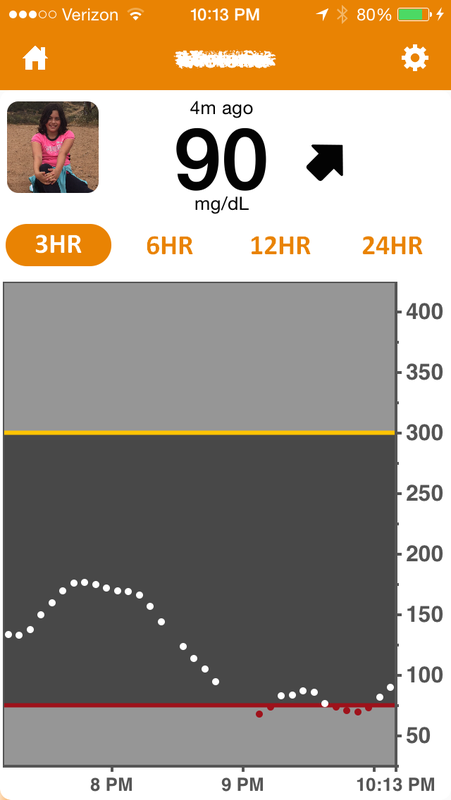 4:30 PM: Testing within an hour of giving insulin for a snack, with Dexcom indicating an upwards trend. Finger = 295; Arm = 284. Very close. So what do I make of this data, be it limited and not particularly methodical? In my opinion, there is no special magic to finger blood. I find readings from alternate sites close enough to finger poke readings and now I feel a lot more comfortable about alternate sites testing under any circumstances. What do you think about our little experiment? 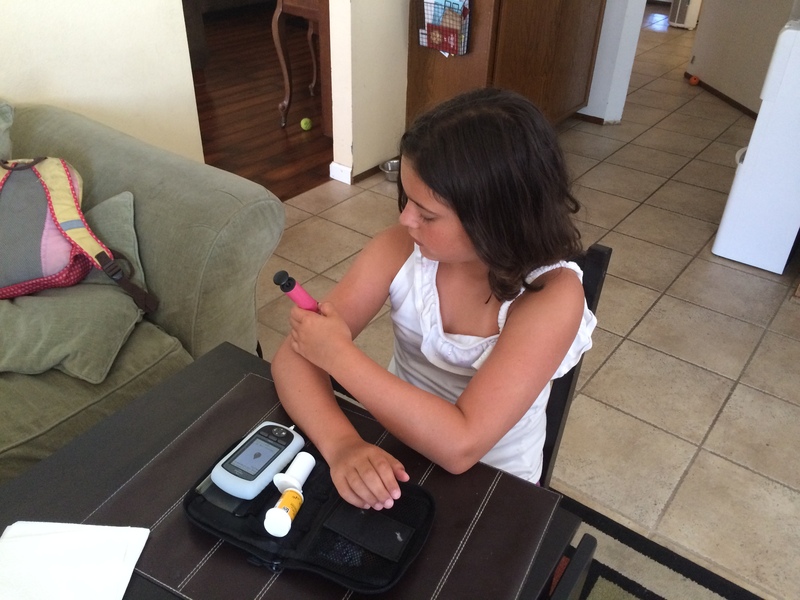 My column for InsulinNation on our adventures in summertime diabetes management. The other day I was setting an alarm when I thought about how I have four of them on my phone. It got me thinking about their purpose and how I feel about them. Let’s take it from the bottom. 3:00 PM: School Pick-up, Tuesday. To make a long story short, I made a few frantic phone calls and got someone else to pick up the kids. They were second to last to be picked up and they were not pleased, though a little amused. I was mortified. Ever since I have a recurring alarm at 3 PM on Tuesdays so that I am never ever late for school pick up again. 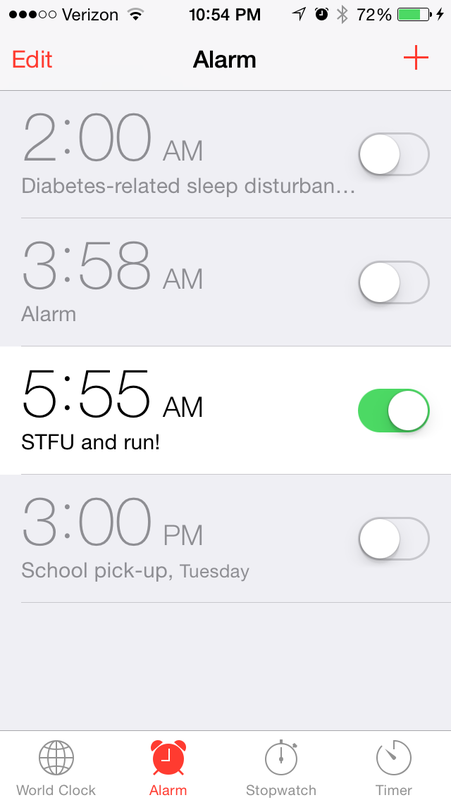 5:55 AM: STFU and Run! This alarm is my favorite. A couple of years ago a friend of mine made a comment about how, when she was in the Marines, if they were too tired to run, they were told to do this nice and easy thing: STFU and run. 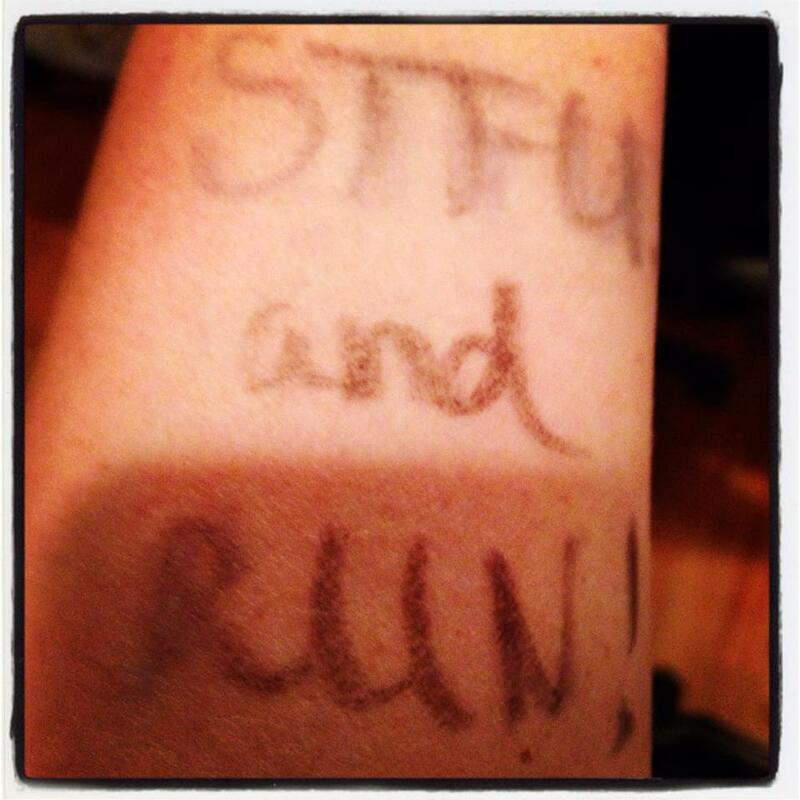 The phrase instantly became my running motto, so much so that I had it written with a sharpie on my arm for the 2014 Marine Corps Marathon. Saturdays have been my sacred running days for a number of years now. Saturday mornings I get up and run. I usually meet my running group at 7 AM, but even if I’m running solo I still wake up early and get going. It’s rarely an easy task to get myself up on a Saturday morning, when my family is peacefully sleeping. But I’ve never regretted forcing myself out of bed and lacing up my running shoes. STFU and Run! I have no idea what this alarm is about. Obviously I used it at some point. It may have been to test V’s BG, or it may have been for travel. I don’t know why I haven’t deleted it – I guess you never know when you can use another alarm, right? I hate the 2 AM wake-up. I hate that diabetes disturbs our sleep and our peace. I hate that I tend to wake up to it even if it’s not my turn to be up. I hate that my body is so accustomed to it that I tend to wake up at 2 AM even if we don’t have to set the alarm. I hate that diabetes, while manageable, is also so serious that there are times each week we need to be up in the middle of the night to make sure V’s numbers are in an acceptable range. I hate that sometimes us being up is not enough, as we have to also wake V if we need to treat her low BG. And I hate that at some point, sooner than later, we have to pass the torch to V. For now we completely take over her diabetes care at night. She sleeps soundly through all alarms and vast majority of finger pokes. As she gets older and becomes more responsible for her care, it will have to change. She will have to set her own alarm to wake up and test in the middle of the night, and we will have to step back and learn to trust that she will act responsibly. 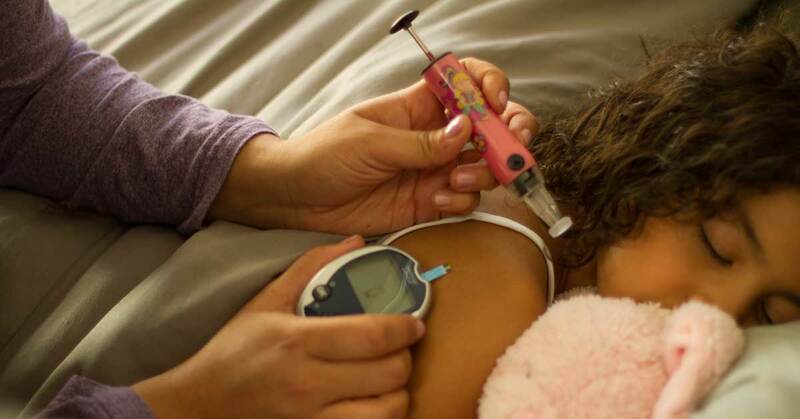 I am also hopeful that, as diabetes technology continues to improve, more tools to improve nighttime safety and ease the burden of management will soon become available. 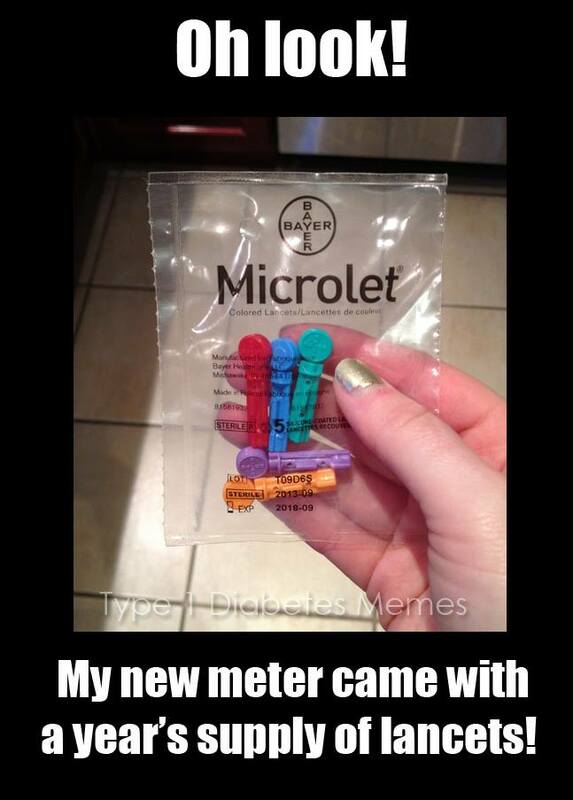 It would be so great if no one has to set an alarm in the middle of the night to deal with diabetes. And it would be so great to delete the 2:00 AM alarm from my phone for good.